Welcome to the Ultimate Alucard Guide. In my experience, there is no hero better at the ultimate comeback. Whether it’s in a fight when Alucard is virtually dead he can hit his ult and get a triple kill or we’re talking about how Alucard can hard carry a team who is far behind. 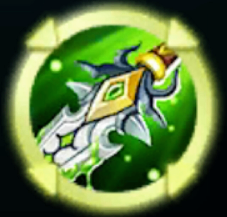 Today we’re going to be going over all his abilities how to combo them to achieve maximum damage and maximum lifesteal. 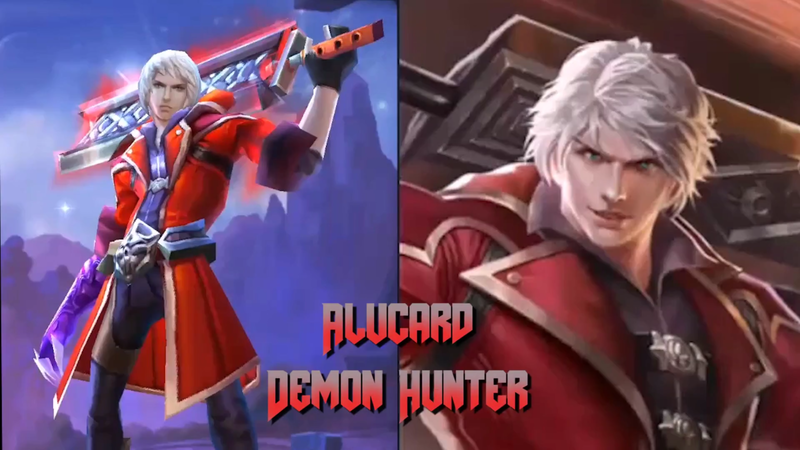 I hope you enjoy seeing what Alucard is capable of in the highlight video below. First off I view Alucard as a straight assassin. The only thing that makes him a “fighter” is that he can survive with his ULT. Killing Alucard in a 1v1 situation is extremely hard but it’s equally hard to get away from a good Alucard. Alucard in a team fight has a tremendous amount of AoE damage and can be a huge contributor to winning a team fight. Alucard is almost 100% offensive all the time and all of his abilities are built around that. Please watch all the videos in the guide as they are an essential part of learning his combos and understanding how to properly play Alucard. As always, if you enjoy the guide and the content, please head over to our YouTube page listed below. Give our videos a Thumbs Up and Subscribe to the channel to continue to get a ton of great Mobile Legends content. Pursuit is awesome, after every ability, your next basic attack does extra damage and teleport’s you to the nearest target. Pursuit is the source of Alucard’s incredible burst damage. We’ll discuss Alucard’s “Combo’s” below but using his abilities in combination with his passive is what makes Alucard so powerful. TIP: Using Pursuit in combination with Alucard’s Ult is what helps Alucard have incredible game changing lifesteal. With Groundsplitter Alucard leaps forward and deals damage to the enemies he hits where he lands. Groundsplitter is a very simple ability and is only a great ability when you use it in a combo. Groundsplitter is the best ability that Alucard has to close the gap when chasing or finishing off an enemy. TIP: Groundsplitter is NOT a great ability to use to get away. It is inconsistent to use for jumping over walls. If you are using it hoping to create separation be aware it’s a slow ability and after you land the enemy could still be in attack range. Whirling Smash is another really simple ability. Alucard spins in a circle and does AoE damage to all enemies in the area. As with Groundsplitter, Whirling Smash is a very useful ability when used as a part of the Alucard Combo. 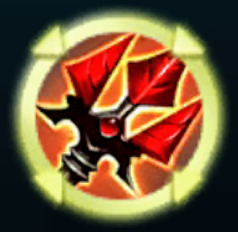 TIP: If your Groundsplitter is on cooldown and you need to catch up to an enemy don’t be afraid to be Whirling Smash. 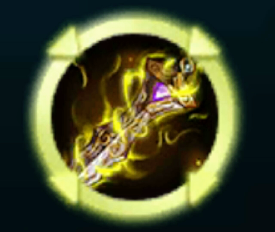 Even though Whirling Smash doesn’t do anything to move you any closer to the enemy it will cause you to teleport to the enemy via Alucard’s passive Pursuit. Part 1: Increases Alucard’s overall lifesteal by 20% and locks in on a specific enemy for 8 seconds. 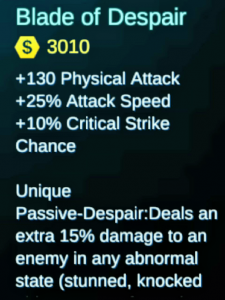 Every basic attack to the targeted enemy causes the passive 1.2x damage and increases Alucard’s lifesteal 100%. Part 2: At any point in these 8 seconds you can cast Fission Wave again and it sends out a wave of damage that does a substantial amount of damage. In this build, you will have 40% lifesteal so when you use Fission Wave you will have 80% lifesteal vs the locked target and 48% vs all other heroes. TIP: Even when you are almost dead don’t be afraid to hit Fission Wave and turn on the enemy. If all your abilities are off cooldown the speed in which you will get your life back is incredible especially if you are that 40% lifesteal. An example of this is shown in the highlight video at 5:40. I tried so many different builds and different orders for items that I tried for Alucard. 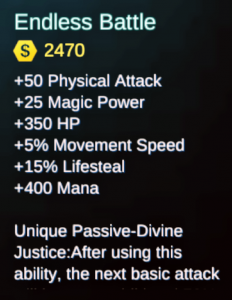 I see Alucard’s Passive and Ult as the best parts of his kit. 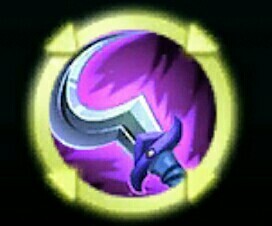 Since the ability to cause crazy burst damage via the passive and a ton of lifesteal via the Ult is his best tools I built the item set to fit that toolkit and enhance it. 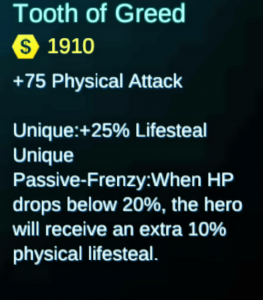 Ultimately I decided to go with Tooth of Greed first because I found that without that he had a really hard time in early game fights as lifesteal is essential on him. 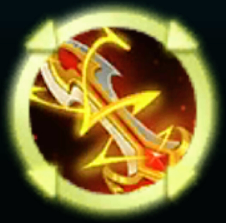 Secondly, I need a nice burst in my overall damage so I go with Blade of Destruction. Third, we go right back to more lifesteal with Endless Battle. The passive on Endless Battle is more effective on Alucard than just about any other hero in the game as he is constantly doing abilities followed by basic attacks. Fourth, we are going with Hunter Strike. 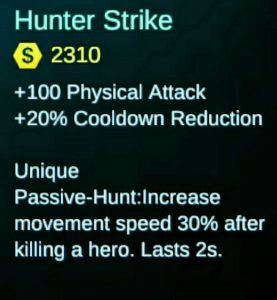 The reason why Hunter Strike is the perfect 4th item is because the 100 Physical Attack is a huge boost in damage but the best part is the 20% cooldown reduction. If Alucard has an incredible ULT and it is the best part of his kit let’s get it up 20% more often! Next, we go Thor’s Sting and this just gives us a huge overall boost in Alucard because each stat on this item is awesome on Alucard. 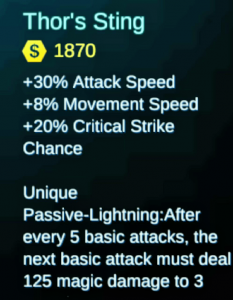 The passive Lightning is perfect for Alucard because he does basic attacks so fast due to his passive and getting 5 basic attacks doesn’t take long at all. The added damage from the passives on Endless Battle and Thor’s Sting is great on Alucard and essentially goes off any time it’s ready to in a fight. Lastly, we’re going to our trusty final item Blade of Despair which is just a boss Physical Attack item that gives huge damage. If you are having an issue with a tanky hero feel free to swap in Wind Chaser either at the Hunter Strike location or Thor’s Sting location. 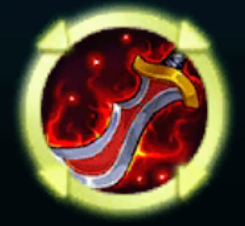 The item that would get removed is Blade of Despair and push the other items back. Even after the wild nerfs to Purify I find that since the main thing that hinders Alucard’s ability to wreck havoc and hard carry teams is his being crowd controlled I find that purify is still great because it gives him his freedom. If I’m looking to troll a little Healing Spell is great. With all the wild lifesteal that Alucard has, throwing out even more healing on him with Healing Spell can be a lot of fun! Other options I would consider is Flicker since Alucard doesn’t have a great escape and stun since all Alucard needs to wreck someone is a blink of an eye. Let me first say that there is not really a wrong way to do Alucard’s combos. The key to using combos correctly with Alucard is the rhythm. The rythym of using the comobs with Alucard takes practice and is just about getting the timing down with ability – basic attack. Even though there is no “wrong” way to combo with Alucard doesn’t mean I don’t have my preference. Here is my 2 combos I like to use and why. If you are far away and need to close the distance to start your combo use this one! If you can use this combo, do it. Thanks guys for reading the Ultimate Alucard Guide. I hope this will be helpful to you in taking your Alucard game to the next level. If you have any questions at all please feel free to leave them in the comments below or comment on our YouTube videos where we always answer ASAP. If you enjoyed the guide and the videos in it please head over to the SunBros YouTube page and subscribe to the channel and hit that notification bell so you can see all the great Mobile Legends content we’ll continue to release. If you take a look at the Road to Legends Series in which we play ranked games trying to rise up to Legend rank I take Alucard frequently in those ranked games and you can see more live gameplay with him in it. Well said! Like this guide! Alucard is one of my fav hero he is too op! He is so fun too! Agree this hero is fun to use because you won’t get bored with him all the time. 😀 My battle spell though would be Flicker which makes him a ninja demon hunter! hey sunbros, i love this guide. following this guide make me got my grandmaster rank easily, your combo and item build is marvelous although i change the order of item build that suit my style. if i face tanker hero i get wind chaser first before endless battle. anyway this is a good guide i ever read. now i move to read your moskov guide hopefully it is awesome like this. why u have no boots? 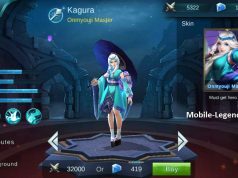 argus is easy to kill, even if he is one level above u… try not to fight with him when he use his ulti, just take 3-4 steps backward and then fight back…victory is on u. What is Tooth of greed? 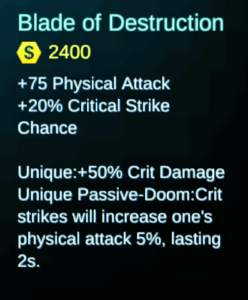 what is blade of destruction? 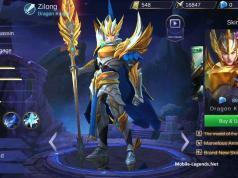 but in 1vs1 fight, alucard is nothing with zilong..